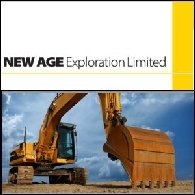 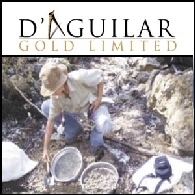 New Age Exploration Limited (ASX:NAE) announces that it has entered into binding agreements to acquire two exploration and mining concessions within the Cesar thermal coal basin in Colombia through the NAE-Aurora Partnership. 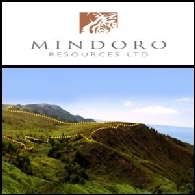 This acquisition follows the recent announcement that NAE has formed a partnership to pursue thermal and coking coal projects within Colombia with Aurora Energy S.A. ("Aurora"), a leading supplier of mining and processing equipment and consultancy services within the Colombian coal sector. 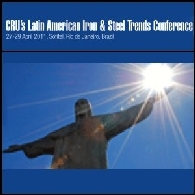 Mr. Aristides Corbellini, Steel Department Director, VALE (NYSE:VALE) has now confirmed he will speak at the CRU Latin American Iron and Steel conference! 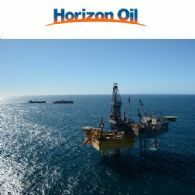 The conference is to be held on 27-29 April in Rio. 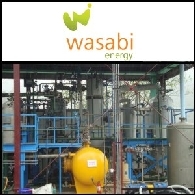 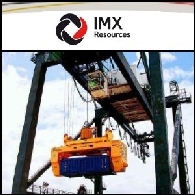 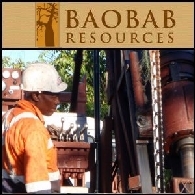 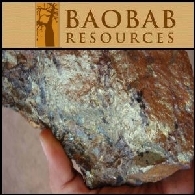 Baobab Resources plc (LON:BAO) presents an update on the Monte Muande magnetite/phosphorus, base and precious metal project in the Tete province of Mozambique, a joint venture project with North River Resources plc (LON:NRRP). 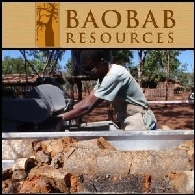 Baobab Resources plc (LON:BAO), the iron ore, base and precious metals explorer with a portfolio of mineral projects in Mozambique, is pleased to present an update on the exploration activities currently underway at the Tete iron/vanadium/titanium project.